Anne Butler is an artist living and working in Scotland. 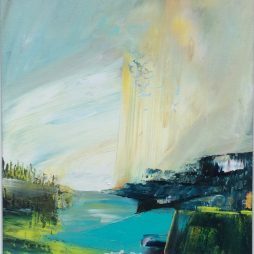 Anne began painting in her forties after studying at Leith School of Art. 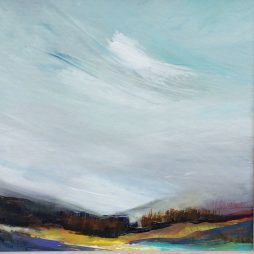 Anne paints in a free and loose style responding to the Scottish landscape, weather and seasons. Colour is very important to her. 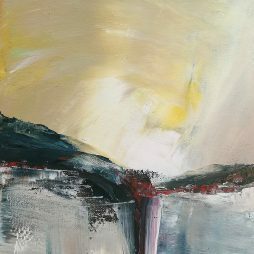 “I think colour can change moods and I can spend a long time getting the colour I am happy with.” Anne paints in acrylic, building up layers and scraping back revealing the colours beneath. She often works “en plein air” and in all weathers. Anne works quite quickly, sometimes “wet-on-wet” and responds instinctively to what emerges on the canvas. She likes to experiment with different techniques and tools. Some paintings seem to emerge quite suddenly and unexpectedly and some take a long time to feel “right”. Some never feel right. If she is not happy with any part of the painting, even if it is a small detail, she usually ends up changing the whole thing. She will turn the canvas upside down and start again. Anne prefers to work on larger canvases. Anne has recently been collaborating with a poet and selected canvases have poems on the back.